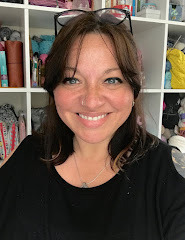 There are some lovely looking knitting and crochet kits around and in particular I was interested to take a closer look at The Knitting Book and The Crochet Book from Cath Kidston. I first spotted these in store about a year ago but resisted buying them because they seemed to be aimed at absolute novices. I was delighted to receive a review copy of each this year. 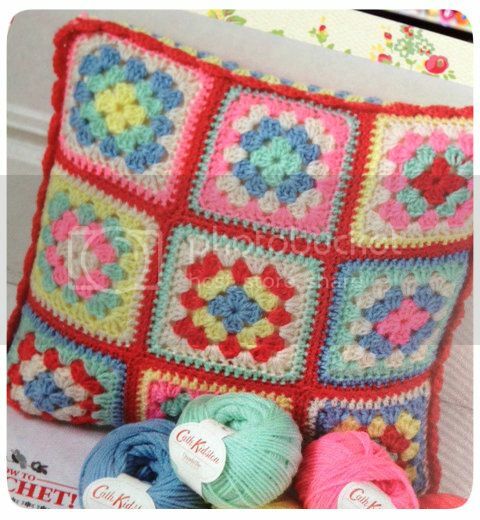 The tins include 6 x 20g balls of acrylic yarn, a pair of needles or a hook, and a compact book of instructions together with a pattern for either a crochet cushion cover or a knitted scarf. On first impressions this does indeed look perfect for a beginner, but the reviews on the Cath Kidston website include several complete novices who were very disappointed that the instructions were not detailed enough. This surprises me, because they look adequate to me - perhaps those reviewers are people who find it difficult to learn from written instructions? In fact, due to the size of the books, I was thinking they'd make good "project bag" reference guides for new knitters and crocheters. 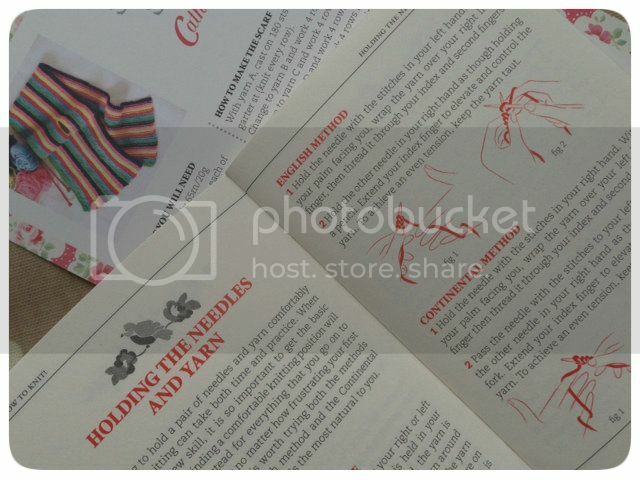 The books include the basics of holding yarn and hook/needles, how to start a project, the most used stitches and increasing/decreasing for knitting, how to cast off and how to join crochet blocks as well as some common problems and trouble-shooting. I was also pleased to see that both English and Continental knitting methods are described in the knitting guide! The yarn is very pretty but I found the quality a little disappointing - it's the type of acrylic it's possible to pick up very cheaply and if you read my Beginner's Tip post, you'll know this is something I warn against, as it can be more difficult to work with. I expected something nicer, especially as the brand isn't aimed at budget shoppers, but perhaps that's just me being pernickety. Some of the reviews also state that the yarn is insufficient to make the full length scarf or finish the whole cushion - with a total of 120g I'd say this is probable so it's another thing to bear in mind. The RRP for these kits is £20, but you can pick them up for less (eg £14 on Amazon) which represents better value. So who are these suitable for and do they make a good gift? In light of the reviews I'd say these might be best for people who have some previous experience, maybe they learned to knit or crochet when they were younger but haven't had any practice for some time and need a refresher etc. They certainly LOOK like lovely gifts - the presentation tins are nice. 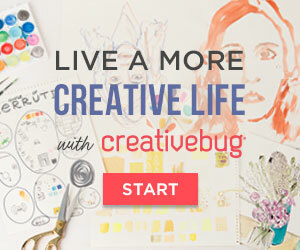 If you're reading this blog, chances are you already knit or crochet so if you're considering either as a gift for a novice, I think it would be better if you were to include some of your time teach them too. My favourite is the crochet kit, so that would be the one I'd buy (plus if there's not enough yarn it could easily be supplemented). up on the previous posts by clicking the image below. I saw these in a shop and thought the tins looked lovely but the yarn looked very cheap - a shame really as I would have expected it to be nicer. Because of the seal on the tin, I didn't get to look inside in the store, so it was good to have a good rummage through these! I'm not sure about the beginners. I mean knitting is not easy. There are so many things that you have to learn, for example keeping your index finger straight, wraping the yarn around the finger, holding the needles. You have to aware that you cannot learn to knit in half an hour. Some people just give upt to quickly. And it's always easier to blame the intsructions than myself. 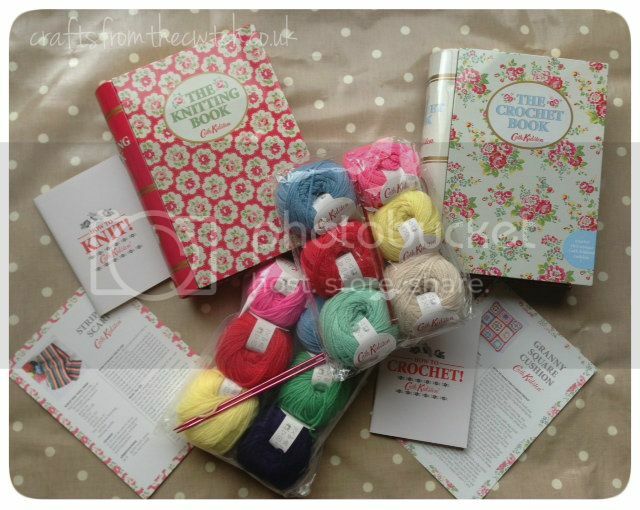 :-) On the other hand, I would probabely buy book and yarn seperately because in a kit I don't expect nice yarn. Of course, if the book is not available without the yarn, I would buy the kit. Thanks for the review. We are going to Zurich tomorrow and a visit in the bookstore is a must. I'm going to look for kits. I'm wondering what Switzerland has to offer. Instructional books are so hard to judge unless you're able to browse through it. And it's good you were able to give a review on these since a noncrafter wouldn't know if the kit was sufficient enough for a total beginner. You should add your review to the kits website if possible. I like the idea of kits, there are some very cute kits in pretty brown paper bags by a welsh company I've seen recently, they were far more reasonable and the things you could make were a bit different....wish I could remember what they were called....I definitely have a woolly brain! 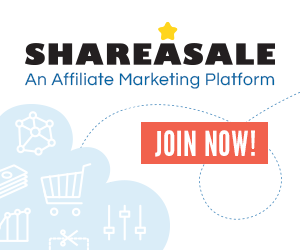 What a great opportunity to review for you and for those who read your blog. It is a shame they are not better quality because, as you point out, you would expect them to be.